Garrett Leight Wilson - Matte Black / Matte Spotted Tortoise Need Help? The GLCO Wilson is inspired by the classic British Health Insurance frame worn by The Beatles John Lennon. None of the originality in the technical design of this frame was spared. Original Italian Windsor rims, detailed metal filigree, mixed antiqued metal is representative of the true spirit of this timeless British classic. 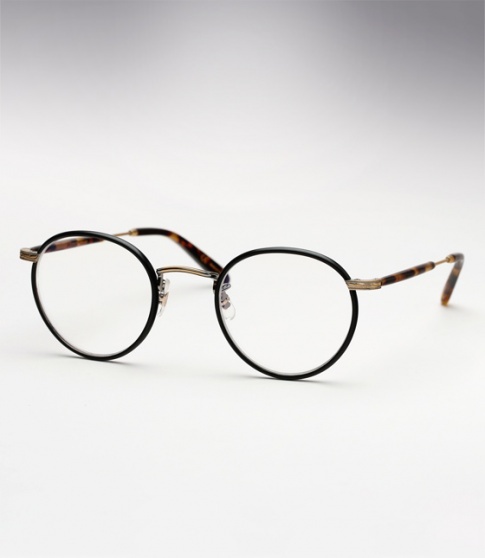 It is offered here with a matte black front paired with "Matte Spotted Tortoise" temples.